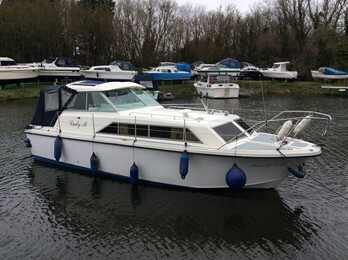 This Fairline Mirage is a tidy example of this popular family cruiser. 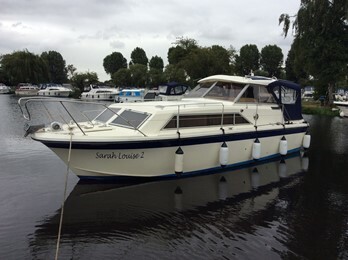 Fairline Mirage, "Sarah Louise 2"
This Fairline Mirage was re engined in 2015 and converted to a shaft driven single diesel craft. This John Bennett design proved to be a popular design that still looks modern today. 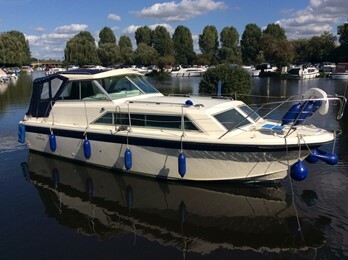 The internal volume of the craft allows 5 berths, with dinette and bench seating to create an additional single berth. 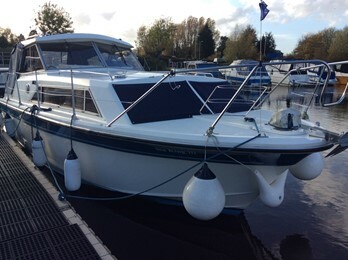 The crafts beam allows the galley to be offset to the port side keeping the main thoroughfare of the cabin clear.An aft cabin cruiser was also produced which offered 6 berths. 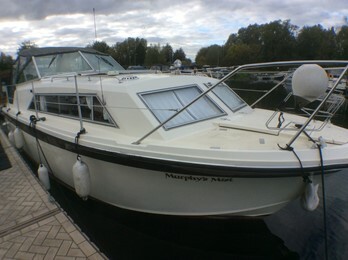 The aft cockpit craft were always powered with outdrives and usually Volvo petrol with some Volvo diesel. 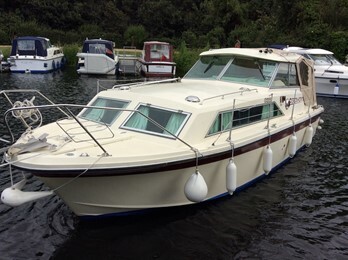 The aft cabin craft were more designed for inland use with conventional shaft drive in diesel with some twin engined versions.